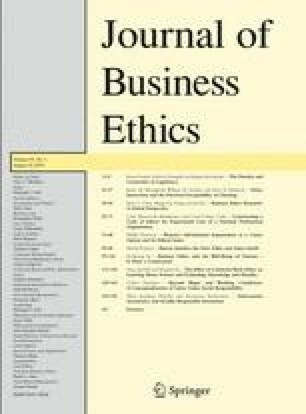 This paper documents the development and implementation of an ethically valid code of ethics in a newly formed national professional organization. It describes the experience and challenges faced by the National Association of Senior Move Managers (NASMM) and its leaders as they worked to establish ethics as an organizing framework early in its evolution. Designed by the investigators and supported by the NASMM Board, the process took place over a 2 year period and more than 130 people participated. It provides a model for code development that is both practical and grounded in theory. Although the content of a code of ethics (the “product”) provides guidance to organizational members in the conduct of everyday business, especially when they face ethically challenging situations, how the code is developed (the “process”) influences its ethical validity. Few published cases document an organization’s experience developing a code, and this is the first case, to our knowledge, that provides a first-hand longitudinal account of an effective code development process.